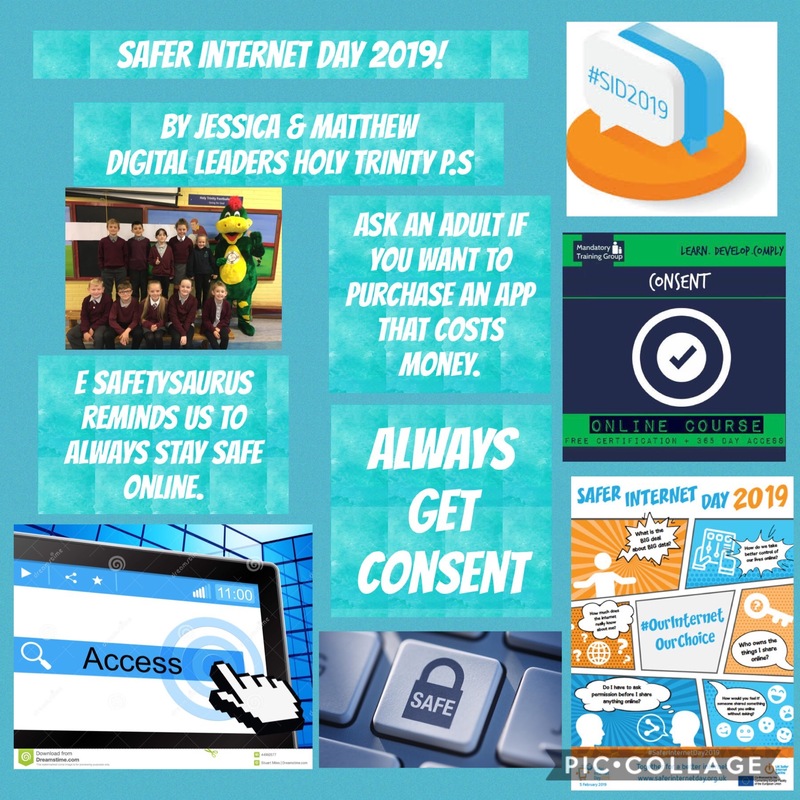 We would like to invite you to an internet safety session to raise awareness of the issues that face children online today. 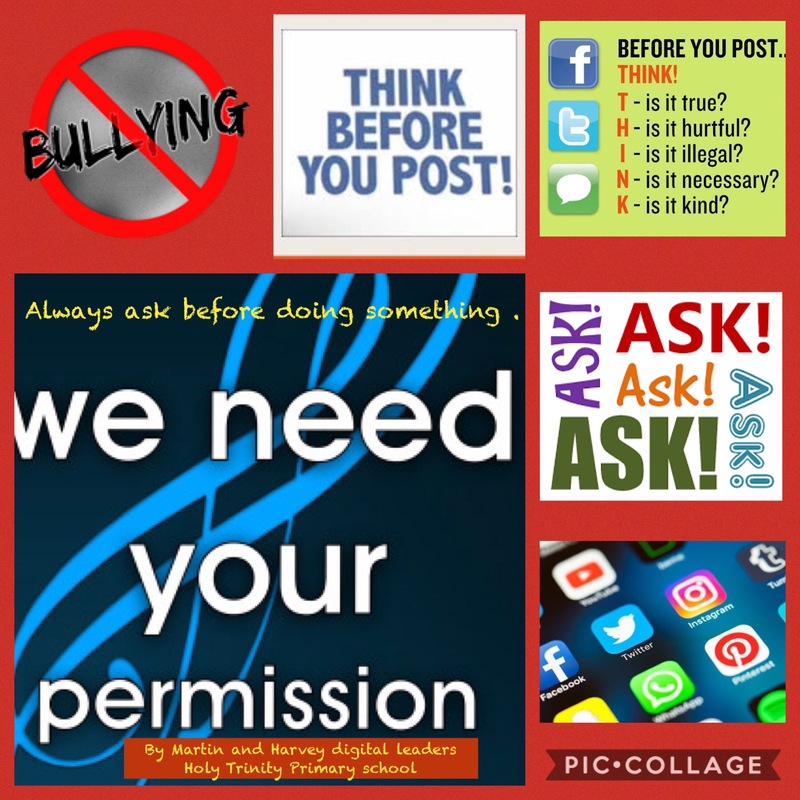 We will be delivering a presentation with practical advice and safety tips to help manage online safety issues and discussions around suitable behaviour online. 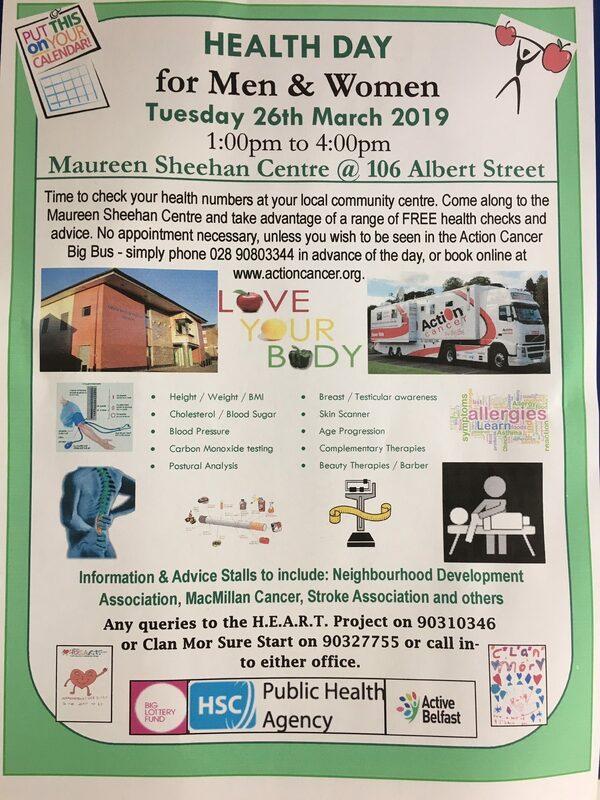 The session will be in the Key Stage 2 hall on Tuesday 19th March from 1-2pm. Can you please return the reply slip sent home with your child this week. We really hope you wild be able to attend and look forward to seeing you. Lovely to see a sea of green in the school today! Have a great weekend and we’ll see you all again on Tuesday 19th! Snapchat, Instagram, Facebook and Twitter. 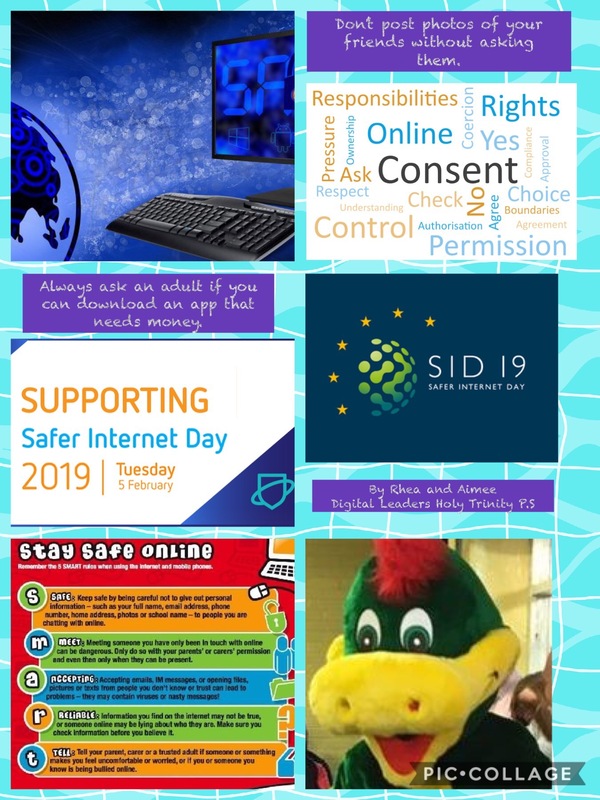 Do you know how to help your child stay safe online? Have they set their accounts to private? Autism and Behaviour Support Training Workshop. 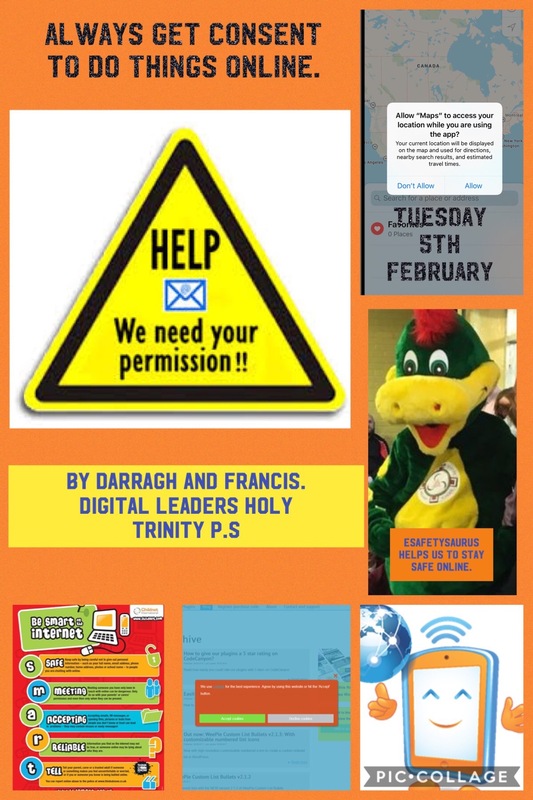 Our Digital Leaders have been working hard to help us learn about consent and permission. Check out their eye catching posters! 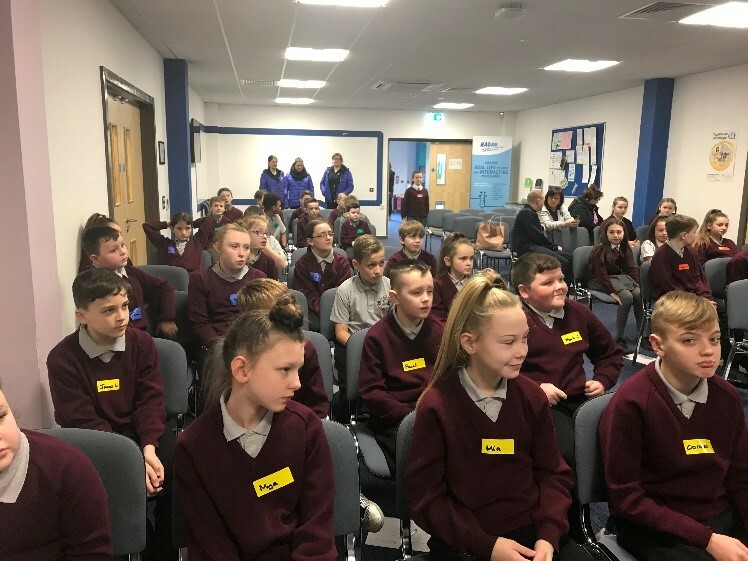 In January the primary 7 were invited to attend The RADAR centre (Risk Avoidance and Danger Awareness Resource). 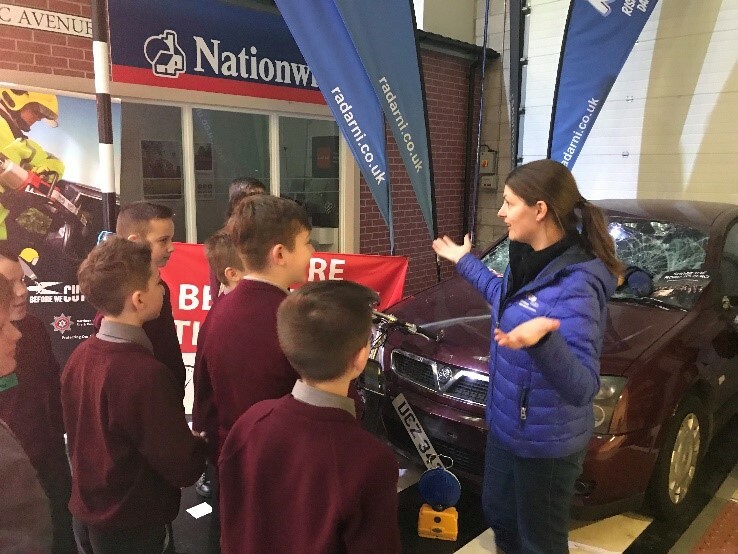 RADAR is Northern Ireland’s first and only, life sized, interactive safety and life skills education centre. 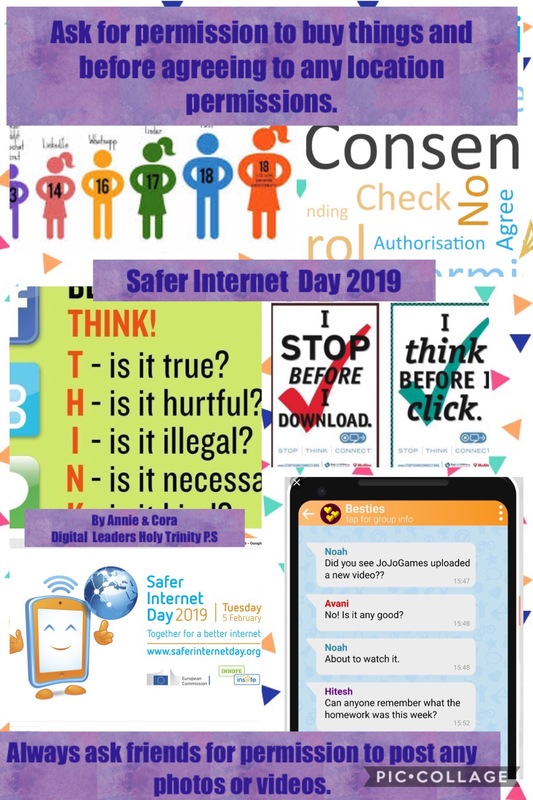 The P7s were challenge to think about how to keep themselves and others safe within a house, bus, train, social media, court room and prison cell. This was a really fun, engaging and interactive day and each workshop was thoroughly enjoyed by pupils and staff. We hope our pupils will remember all the safety procedures as they move onto secondary school. We are very privileged once again this year to be involved in the PwC ‘Hive Hackers’ initiative which engages with six to eleven year olds and teachers in primary schools across the region to teach coding and technology, to the point where schools can design and code their own games. 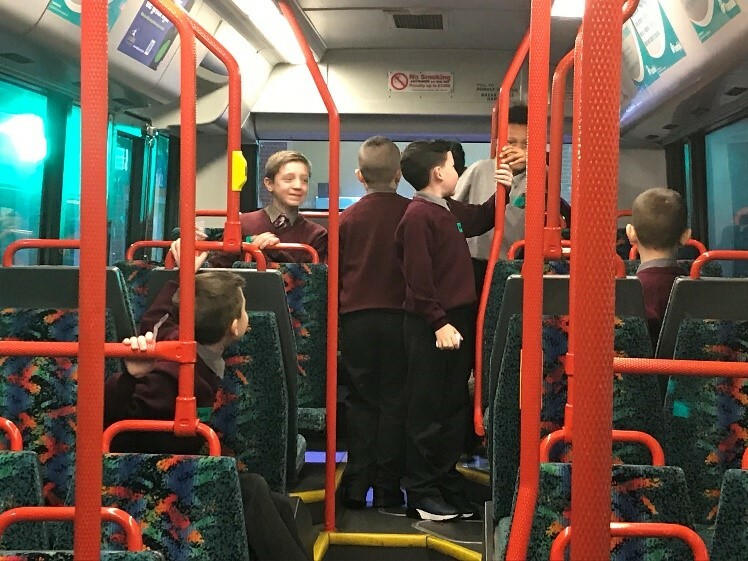 The P7 pupils will be involved in a 7 week programme which develops the skills of Coding; Sequencing, Loops, Debugging, Binary, Game Making, Digital Footprint and Interactive Story Making, culminating in an awards ceremony to be held in The Waterfront Hall on Thursday 28th March 2019. Hive Hackers Scheme of Work. 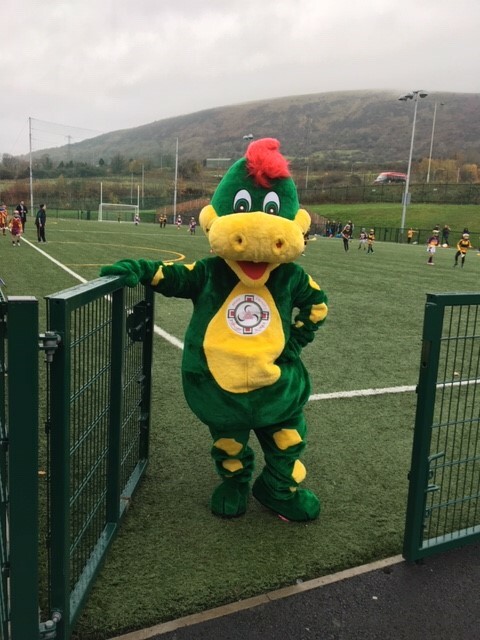 Holy Trinity PS is delighted to announce that we have recently been invited as one of the 16 schools to be involved in Antrim GAA’s 5 Star Centre pilot project. This project has been planned and will be delivered in collaboration with St Mary’s University College as part of the Gaelfast programme. 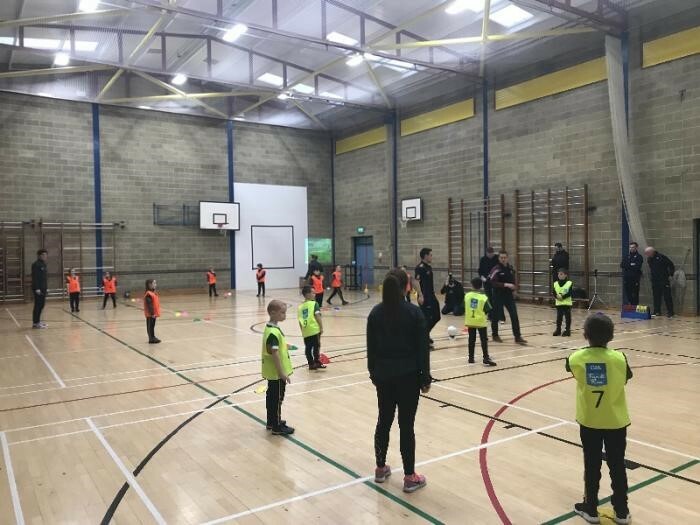 The concept of the 5 Star Centre was devised by the GAA, for primary schools, with the aim of ensuring that all children receive 60 minutes of moderate to vigorous physical activity per week throughout the 26 weeks of the school year. 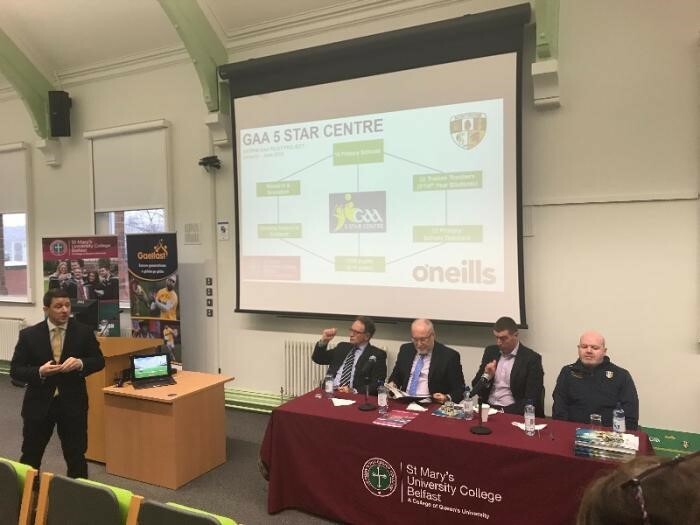 Mr. McCrory and Mrs. McLaughlin attended the launch of the programme last Friday 18th January in St Mary’s University College and will receive further training and resources to aid in the implementation and effective delivery of the programme in Holy Trinity PS.